HENDERSON, Nev. – Jennifer Garner did it in “13 Going on 30.” Miley Cyrus did it while on tour last year. Even today – 28 years after Michael Jackson’s “Thriller” was released – dancing that famous dance really never gets old. 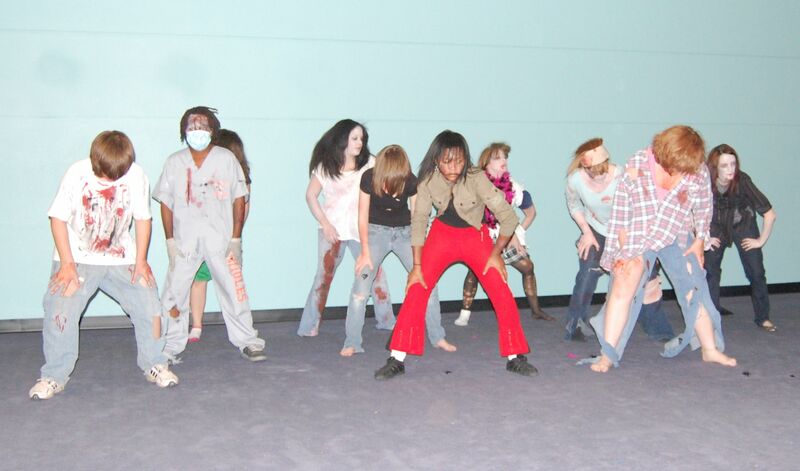 On Saturday, Oct. 23, at 4 p.m. at Gibson Library, Henderson Libraries will take part in the 5th annual international Thrill the World event by dancing the “Thriller” dance – along with thousands of people worldwide. This is the second year the Henderson Libraries has participated in the global event. While the dance will take place at 4 p.m. Oct. 23, the day’s festivities will last from 1-5:30 p.m. and will include a Halloween zombie-themed party to celebrate the end of Teen Read Week. To attend the event, teens will have to participate in the dance or bring a food item to donate for a drive benefitting Three Square food bank. Teens in grades 6-12 are invited to take part in the dance but must attend at least three practice sessions in order to do so. Practice sessions will be held every Thursday at 3 p.m. at Gibson Library and at 4:30 p.m. at Green Valley Library from Sept. 30 until Oct. 23. Gibson Library is located at 100 W. Lake Mead Parkway and Green Valley Library is located at 2792 N. Green Valley Parkway. Henderson Libraries will also conduct a district-wide reading challenge for all teens during Teen Read Week. Participants can record the number of pages they have read each week on Henderson Libraries’ teen blog, where they can also vote on colors for the district’s teen librarians to dye their hair as part of the district’s “If you read, we will dye!” campaign. Teen librarians from all of Henderson Libraries’ locations have committed to dying their hair with streaks of colors chosen by teens if their branch’s teens record at least 2,000 pages before Oct. 15. Along with this challenge, anyone who signs up for Thrill the World will get a free copy of “Pride and Prejudice and Zombies” to keep.